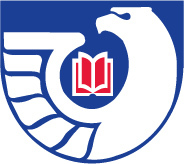 Information about Hoover Library's participation in the Federal Depository Library Program. Access: Print materials are housed in our government documents collection and shelved by SuDoc Number. Some titles are cataloged in the regular collection instead. Small subset of government documents searchable on the online catalog. Use WorldCat for a comprehensive search for Hoover govdocs. To search for online documents available on the web, go to the "Format" box and choose "Online"
Hoover Library government documents are searchable in WorldCat. After your search, click on "Government Documents" under "Topics" on the left to see govdocs only. Click on "View Now" for a link to the electronic version, if available. 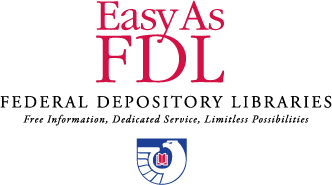 Use to locate depository libraries and access information about their item selections and contact information. Find government documents available for purchase. resource online access to records in a 475 selected data sets of historic databases preserved permanently in NARA. The records cover a wide variety of civilian and military functions and have many genealogical, social, political, and economic research uses.